We're off to Round 4 of the Soda Series! 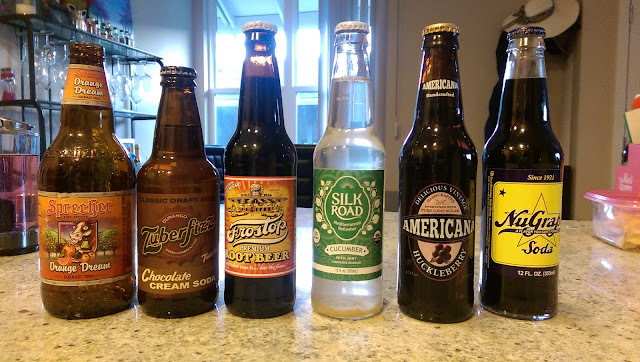 This time I went for a blend of seemingly more conventional sodas and a few odd novelty flavors. While I'm all for trying something new, it's probably best to iterate on traditional flavor profiles rather than going completely off the track. "A swell cola" describes this drink fairly accurately. It had all the hallmarks of a generic cola drink. It tasted a bit more acidic and less sweet than Coca-Cola. 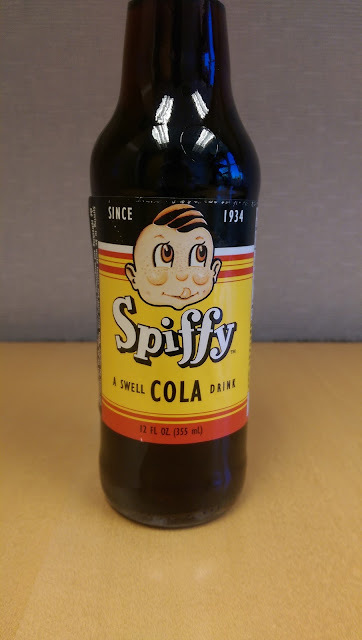 Other than the retro bottle, Spiffy lacked much of its own unique identity. I couldn't pick Spiffy out of a lineup, nor would I ever care to. Up until now, I've generally been avoiding the more niche flavors that rely more on shock than actual appeal, e.g. buffalo wing soda. 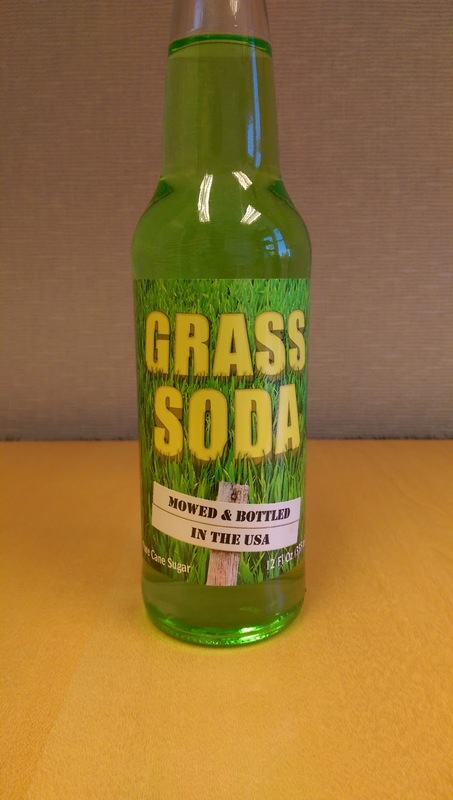 However, I actually like the grass flavored jellybeans in the Harry Potter branded Bertie Botts jellybeans so I thought that grass soda would be delightful as well. Yet when I tried it, I honestly couldn't describe the flavor to you besides it was somewhat herbal with an odd aftertaste. It wasn't a huge departure from normal soda flavors. While not terribly off-putting, I felt no compelling need to revisit this flavor in the future. High hopes accompanied this soda. I'm a big fan of horchata and hoped that the arroz con leche would be similar. 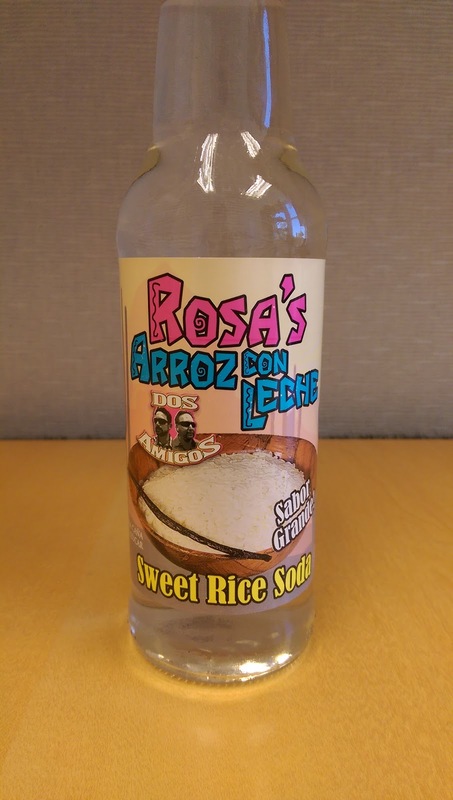 What I hoped would be a carbonated horchata was just extremely bland rice water and not much more. There was no creaminess of an horchata. What I, and perhaps most ambitious owners of Soda Streams, failed to realize was that adding carbonation also adds acidity, which throw off the flavors of the liquid. The result is sour rice water, a description you can probably imagine pretty easily and just as easily dismiss. I was drawn to the Soviet-sounding name and label design reminiscent of propaganda posters. Unlike Spiffy, this cola was much more layered in flavors than a generic cola. It was certainly spicier, with hints of coriander, cinnamon and bitter orange, but not so much like the flavors of a root or birch beer. 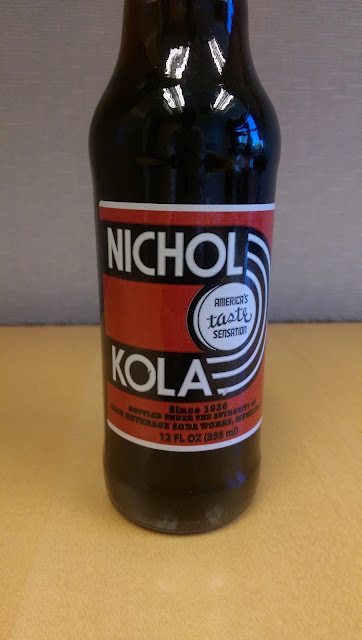 I would gladly buy Nichol Kola again when I'm looking for a complex cola, as this is one of the better colas I've tried. 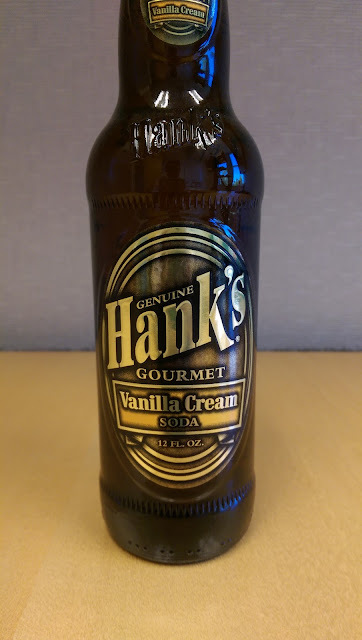 One of my favorite bottles due to the vintage embossed label and contoured glass molding, the vanilla cream soda was also quite enjoyable. It was bright, almost fruity, in its sweetness, though not as creamy as some of the cream sodas I've sampled. I'm eager to try Hank's root and birch beers as well. The company has only been around since 1996 though, so they are not be as vintage as the label suggests. 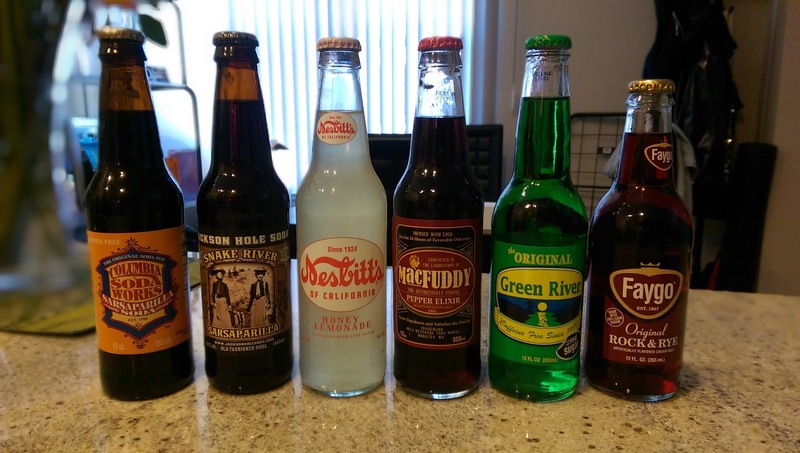 Still, I appreciate when soda makers take new ingredients and techniques and apply them backwards looking at some classic flavors. 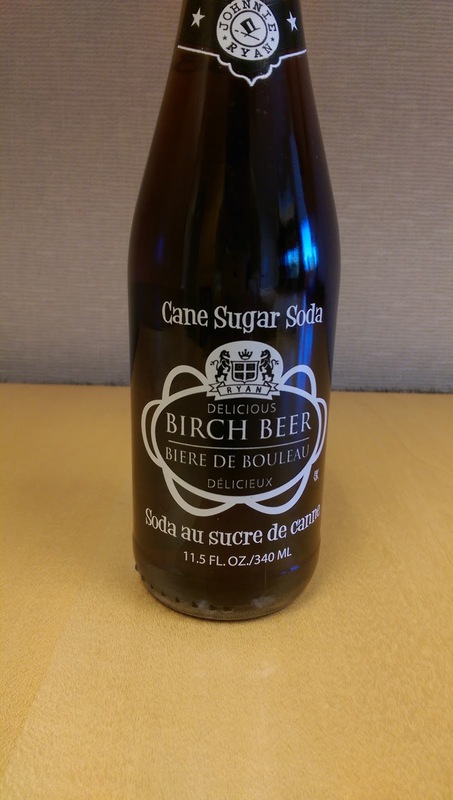 Hits all the flavors of birch beer but a bit too sweet. It wouldn't be my first choice for a birch beer, but I'd be perfectly content with a six-pack from Johnnie Ryan. If you're going for a birch beer, you might as well go for one with stronger herbal flavors like Reading Draft's or Foxon Park's White Birch. This round dived into some more unique flavors than before. Find out which soda I envision drinking in Santorini and which one was so awful I actually poured it out below. I've never been a huge fan of orange Creamsicles. The combination of citrus and cream never held the same appeal as say strawberries and cream. 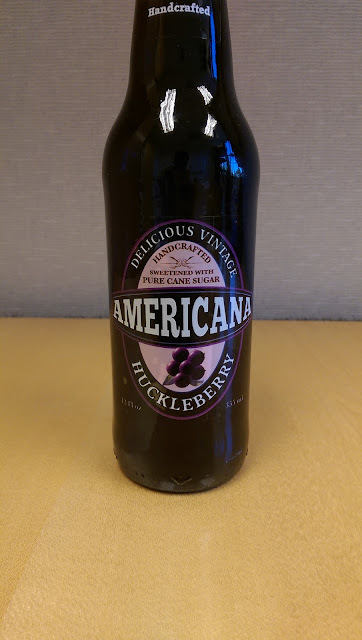 I fully expected this soda to be overwhelmingly sweet and artificial tasting, but was actually quite pleasantly surprised by its relatively subtle approach. Considering the loud neon orange color, this was pleasantly drinkable and refreshing. 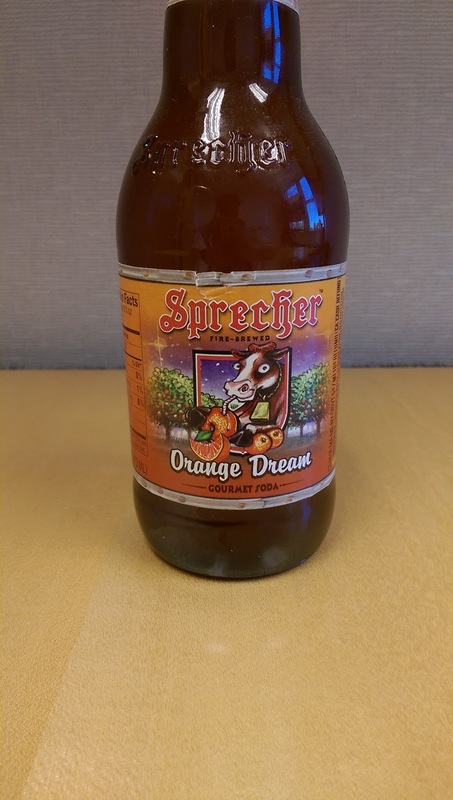 With such a deft hand at such a seemingly difficult soda, I'd gladly jump on any Sprecher sodas in the future. I'll be on the lookout for its Puma Kola, among others. They actually are a beer brewery but they have an odd product line including a root beer mustard that might be worth searching out. Zuberfizz is actually a new company, bottling sodas since 2002. 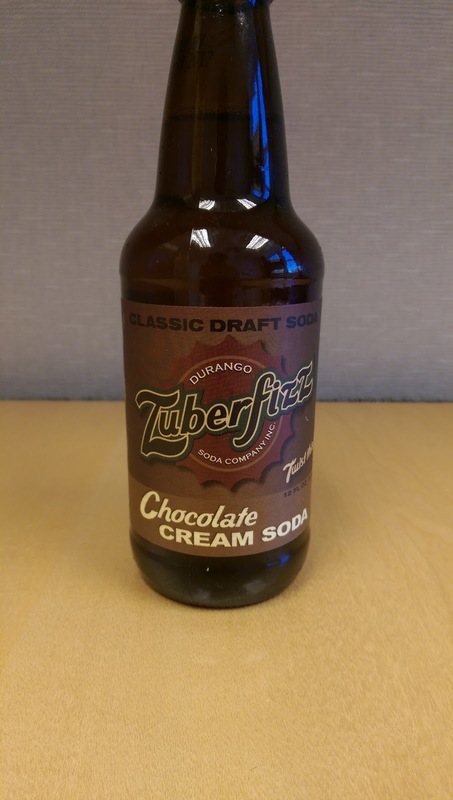 Trying to jump on the microbrewing trend in beer, Zuberfizz focuses on small batch gourmet sodas. They might've actually discontinued the chocolate cream soda, or renamed it their Coco Fizz, but it was absolutely awful. It tasted like a carbonated liquefied Tootsie roll. That's all I need to say about this one. Frostop has been producing root beer out of Ohio since 1926. Upon opening the bottle, the first thing I noticed was a remarkable foamy head. It was refreshing and had bright sweet notes at the top. 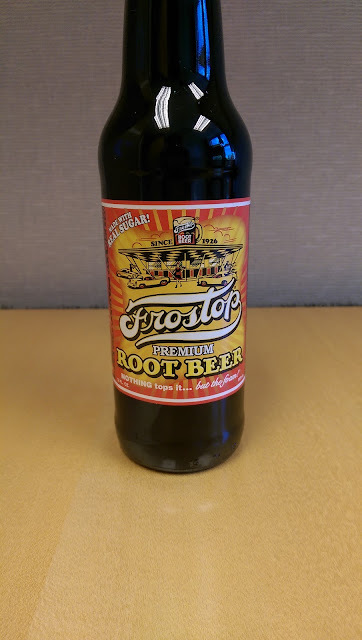 Overall it had little complexity but made a solid root beer. 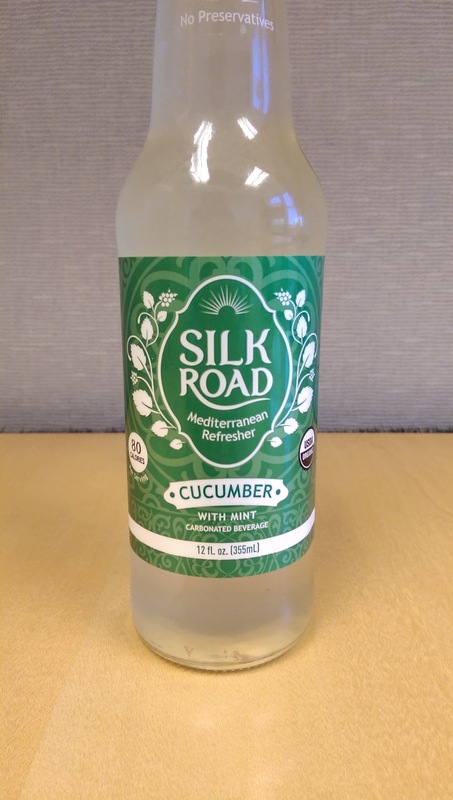 Given the labeling and flavors such as cucumber, pear and pomegranate, I suspected that Silk Road was aiming for the adult soda drinking market, similar to Boylan's Mash line or GuS. While this cucumber soda was still plenty sweet, it also had a pronounced mint taste that made me immediately think Greek salad. After a few more sips, it tastes too herbal, like a full meal for me. The light purple soda has the color of pale grape but the flavor of a tart berry. It is like an adult version of grape soda (besides sparkling wine, clearly). I advocate it as an alternative when you don't want the heavy sweetness of most grape sodas. NuGrape is a vintage 1906 formula, which may explain why it is possibly the most generic grape soda I have ever had. 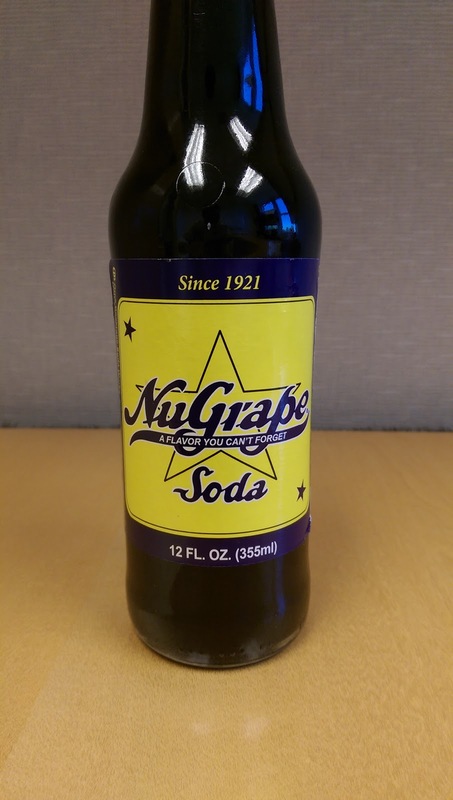 It is a prototypical grape soda and not at all remarkable. 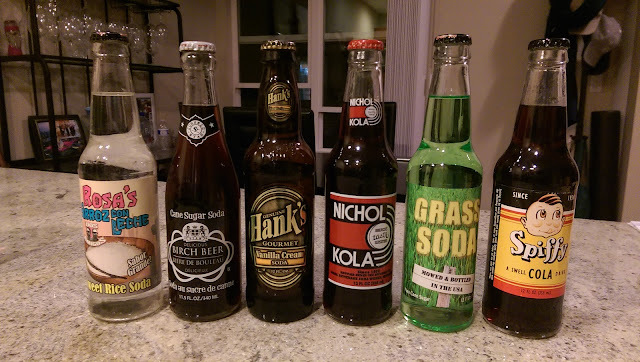 Last month I started my soda reviews with Round 1. I followed a similar process of randomly selecting bottles around the store. For Round 2, I picked Columbia Soda Works Sarsaparilla, Jackson Hole Snake River Sarsaparilla, Nesbitt's of California Honey Lemonade, Green River, Faygo Rock N' Rye and MacFuddy's Pepper Elixir. I grew up drinking Hey Song Sarsparilla from Taiwan. As such, it has always been the standard marker for me for these types of sodas. As polarizing as root beer typically is, I've often found sarsaparilla to be even more off-putting to those who don't like it. 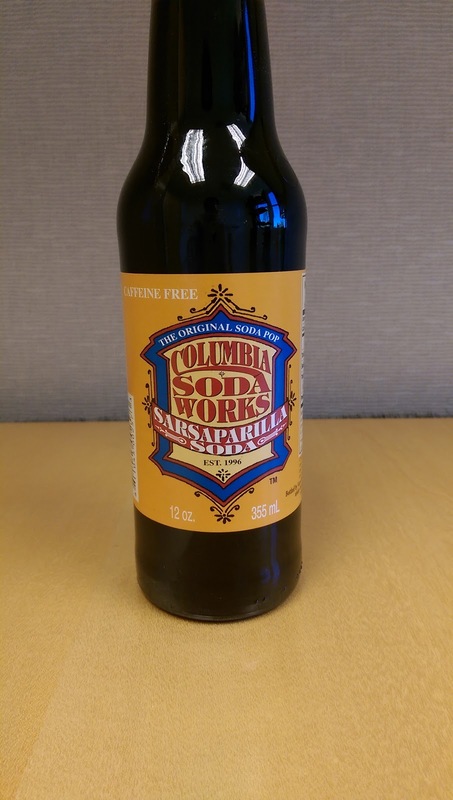 Columbia Soda Works' sarsaparilla was exceedingly bland, tasting like a weak root beer with some little flecks of liquorice. Maybe this was an old bottle, since it also tasted a bit flat, but it was completely underwhelming. Fortunately, the Jackson Hole sarsaparilla made up for Columbia Soda Works' failing. This one was complex and varied in flavor. I got much anise on the tongue. It's merely decent at first but grows on you over time. I found myself wishing I had more the deeper into the bottle I got. 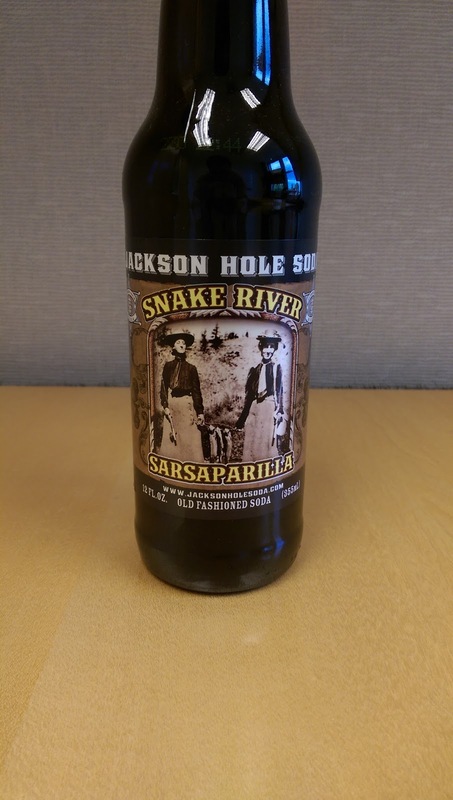 Jackson Hole Soda produces a variety of "old West" type sodas that I'd be eager to try. 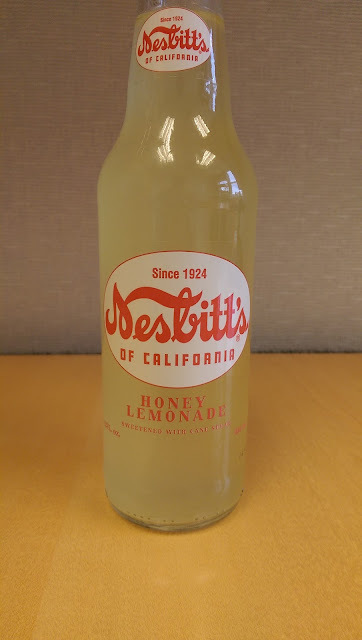 I picked this honey lemonade to break up the dark sodas I've been drinking thus far, but this raised an interesting question--how is soda defined? At its most basic, a soda is carbonated water with sweetener and flavoring. So this honey lemonade fits that definition, though most people would hesitate to call it a soda. It's really a sparkling lemonade. Funnier yet, it's bottle in Texas, not California, and its main sweetener is sugar, not honey. This bottle of contradictions had little appeal flavorwise. I would've preferred a better quality lemonade; adding carbonation did little to improve it. Nesbitt's of California was initially out of Los Angeles and was a leading orange soda producer in the 1940s and 1950s. After changing hands several times, the brand landed in the hands of Big Red. Green River grew out of Prohibition by yet another brewery pivoting to stay in business. 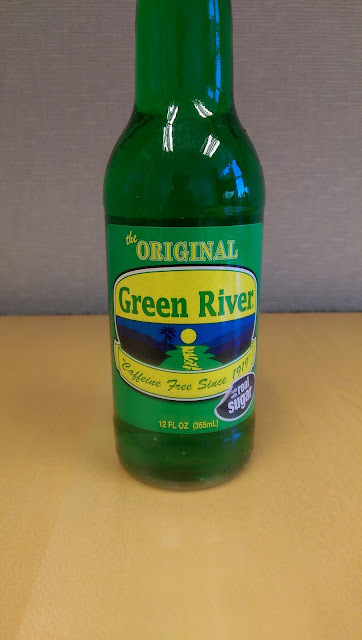 It has a vividly bright green color, which makes it more of a nostalgia or St. Patrick's Day prop than an actual drink. The lime flavor is unremarkable, though the flavor was not as artificial as the color might suggest. 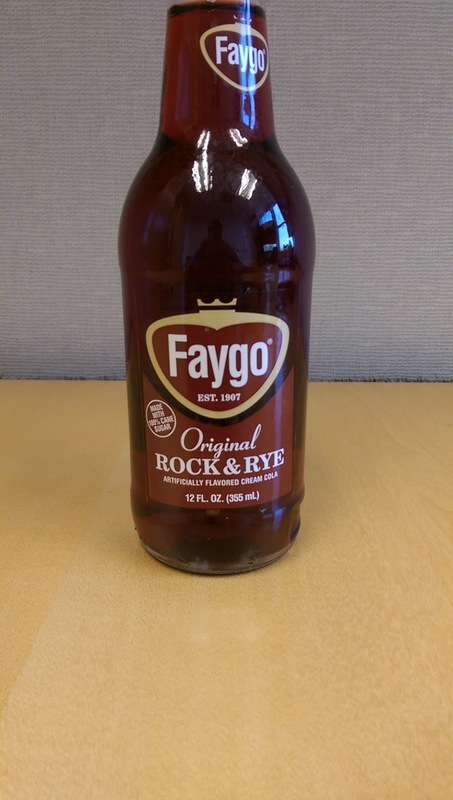 Encouraged by the suggestion of one of my law school friends from Michigan, I tried Faygo's Rock N' Rye flavor. The grape Faygo I had gotten in the last round was awful, but this vanilla cherry cream soda had a spicy tang that kept it interesting. Still a tad on the sweet side, but I'd certainly seek this out in the future as it kept my taste buds engaged. Great for fans of cream sodas. I've also been told that Redpop Faygo is worth checking out. 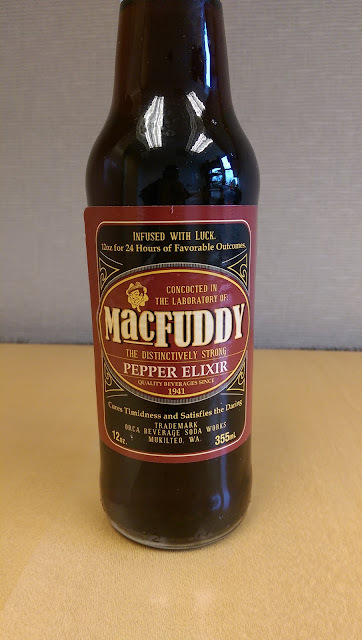 T'was MacFuddy's Miracle Elixir, that's what did the trick, sir; true, yes, true. I'll admit that the labeling attracted me to this bottle. I was hooked by the "distinctively strong" description and the throwback label design. It reminded me of a potion that snake oil sellers would hock or a video game item that would give a temporary stat boost. It does give 24 hours of luck, after all. The flavor is black cherry but with a strong ginger spicy kick. Think a cross between Dr. Pepper and a potent ginger beer.